Osteoarthritis (arthrosis deformans, osteoarthrosis), also known as degenerative -productive changes in the joints is a syndrome which involves the premature wear and degeneration of the tissues forming the joint. The hyaline cartilage that covers and lines the articular surfaces is a subject of abrasion and, as a result, the bone surfaces become exposed and begin to rub against each other. In the course of the disease, the changes in the bone epiphyses and the inflammation of the synovial membrane occur, causing the damage of the structures and functions of the joint. It also leads to the increase of pain symptoms, reduction in every-day life activity and the significant deterioration of the quality of life. In Poland, around 8 million people suffers from the degenerative changes, the 40% of which involve the hip joints diseases. Coxarthrosis affects the vast majority of women (they constitute 2/3 of the 5% of the Europeans over 55 years of age diagnosed with coxarthrosis ), the disease is also more common among physical workers. The primary coxarthrosis accounts for approximately 48% of all cases of this disease. This group includes patients in whose case, despite of conducting the precise medical history interview and performing clinical and radiological examination, the agent causing the disease cannot be clearly identified and its cause remains unknown. The indirect factors that can affect the formation of osteoarthritis of the hip include the wrong lifestyle, the environment impact and the genetic predisposition. Studies have shown a correlation between the occurrence of coxarthrosis and a chromosome 16p , as well as the relationship between the 6 gene Co19A1 localized on chromosome and the occurrence of osteoarthritis of the hip joint among women. This gene is associated with the abnormality of the cartilage structure. Did you know that Hyalutidin HC AKtiv contains the HCK complex, a revolutionary combination of hyaluronic acid and chondroitin sulphate? It is sufficient to use it once a year. The causes of secondary coxarthrosis are also related to the changes in blood supply of the head and neck of the femur, as well as the properties of the blood. 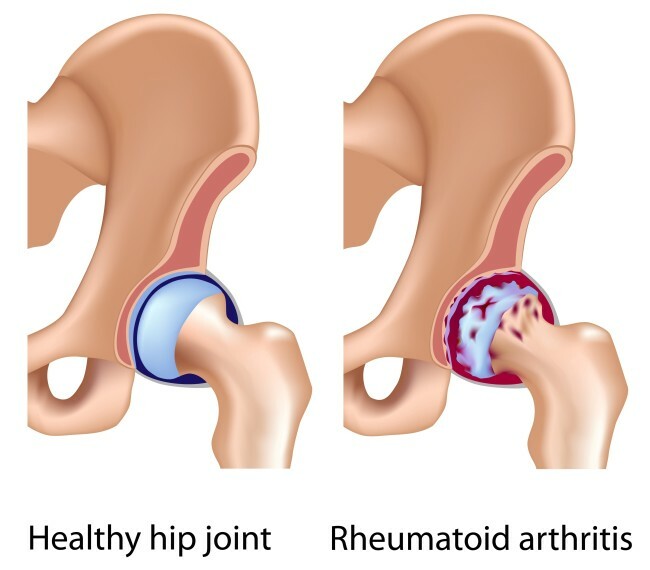 In addition to the disturbances in the structure and mechanics of the joint, the risk of the occurrence of the degenerative changes in the hip joint is also increased by the metabolic and hormonal disorders , smoking, unhealthy eating habits and obesity . Endocrine and metabolic disorders play a significant role in the prevalence of the hip osteoarthritis, especially in women. This is connected with the influence of certain hormones, particularly estrogens, on the bone tissue metabolism in postmenopausal women . The correlation between obesity and the occurrence of the degenerative disease of the hip joint is also more frequently observed in women than in men. Obesity can have both a direct and indirect impact on the development of degenerative changes in the hip joints A direct impact is associated with an increased load to which the hip joints are exposed , which, in turn, can lead to the mechanical damage . 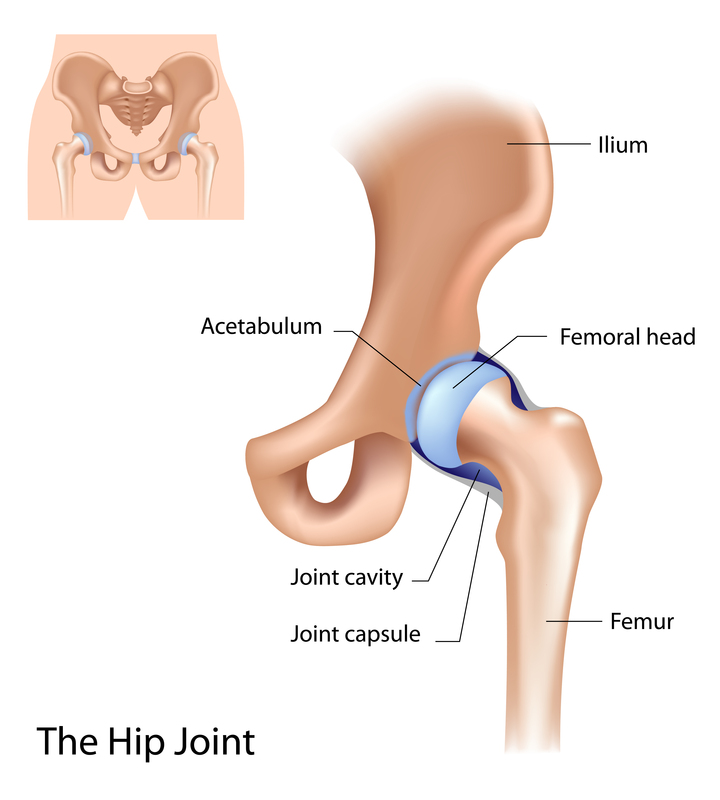 Indirect effects of obesity on the degenerative disease of the hip joints are, on the other hand, connected with the adverse impacts of metabolic changes on the condition of the structures forming the joint ( mainly the cartilage ) . Due to the hypercholesterolemia which usually occurs with obesity, the composition of synovial fluid may be subject to change and the disorders of the appropriate nutrition of the subchondral bone layer may appear . Both the obesity and a significant overweight , as well as the occurrence of diabetes, have a considerable impact on the faster development of coxarthrosis. The symptom most frequently reported by patients is pain, often mistakenly felt in the knee joint. Sometimes a weakening of the limbs and a sense of fatigue is experienced. In the initial stage of the disease, the pain sensation occurs only when the load is exerted on the limb, and it is located in the groin area, radiating to the knee joint or lumbar section of the spine. However, over time, the symptoms aggravate and start to occur during rest and while touching the joint area. The characteristic crackling is also observed, along with the limitation of the mobility of the joint affected with degenerative process and the increasing flexion contracture. It leads to the functional shortening of the limbs, difficulty in movement and performing daily activities, such as putting on shoes or climbing into the bath. The patient is trying to avoid the movement of the limb affected by degenerative process, which may result in the atrophy of the thigh and buttock muscles. As a result of the contracture, the lower limb is placed in the position of flexion, abduction and external rotation .The walk of the person affected by the disease, determined by the symptoms of pain and the concurrent contracture, is very characteristic. This is connected with the fact that a patient avoids burdening the parts affected by the degenerative process, performing the shuttle and rotary movements of the trunk to compensate for the avoidance of other movement. This kind of walk, however, leads to the formation of a valgus knee and the positioning of the lower leg in the external rotation. Even more difficult situation may occur in case of a person whose both hip joints are affected by degenerative process . Then, due to the crossing of legs, a patient experiences even greater problems with mobility. As a result of setting foot on their outer edges, the support surface is reduced, therefore the walk becomes even more unstable and the risk of falling increases. While watching x-ray the special attention is drawn to the shape of the articular cavity , its width , the shape of the articular surfaces forming the joint , the degree of the bone density , the depth of the acetabulum and the slope of the acetabular roof . The radiographic picture of the hip joint affected by degenerative process shows the narrowing of the joint space , the excessive density of the bone structure , the radiolucency called cysts which can be clearly seen on the femoral head and acetabular roof , the occurrence of the bone cysts and bony spurs on the edges of the acetabula and on the border of the femoral head and the acetabulum; the deformation of the femoral head described as ' a mushroom - like' and the apparent shortening and widening of the femoral neck . The X-ray image is also used to determine the stage of the development of the disease. On the basis of the picture it is possible to determine whether the image of the joint is correct and if the changes occurring in the joint are mild , moderate, or advanced . However, it should be noted that the degree of the severity of degenerative changes and the pain symptoms felt by the patient are not always reflected in the radiological image . Conversely, the significant advancement of degenerative changes visible on radiographs are not always equivalent to the proportional pain symptoms. It mainly depends on the degree of irritation of the joint capsule and the inflammation of the synovial membrane. The form of the coxarthrosis is also determined on the basis of radiological images. The two forms of this disease can be distinguished : the one including the displacement, which is more common, and the less common form without the displacement. Among the form with displacement the three types can be distinguished: the lateral, medial and central ones. These terms are derived from the direction of displacement of the femoral head relative to the articular acetabular. The assessment of the stage of disease and its form allows to select the most effective treatment for the patient. Do you know that the quality of joint fluid directly affects the condition of your joints?